​VAICOM PRO employs dynamic speech recognition for interactive voice communications with all AI units, replacing the cumbersome and immersion-breaking F-keys and on-screen menus. The plugin lets you have realistic conversations with all AI in complex missions such as Flight/Wingmen, AWACS, ATCs, Ground Crew, Tankers, and even JTACs in any aircraft. Forget the keyboard: you rely only on your microphone, HOTAS and aircraft radio systems just like in real life. VAICOM PRO is context-sensitive, automatically detecting the aircraft you are flying, auto-configuring itself for its radio systems with support for Easy Communication ON or OFF, while linking into real-time mission data directly from DCS. ​The system works with both Single Player and Multi Player and features selectable Push-To-Talk modes to suit your personal preference, ranging from basic single-key up to realistic multi-radio PTT configs. Use VAICOM PRO alongside your other favorite tools such as SimpleRadio, SimShaker and TeamSpeak. If you want, even route comms audio to a separate audio device output. 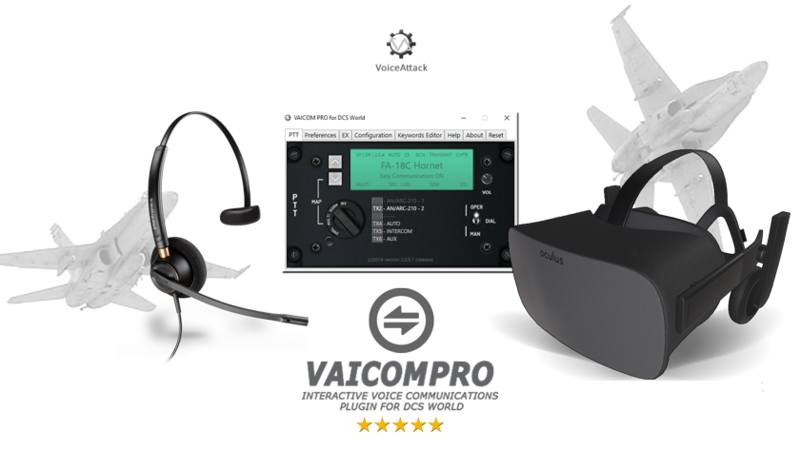 With its 100% keyboard- and menu-free comms VAICOM PRO is the ultimate complement to your HOTAS and (VR) headset setup. VAICOM PRO's IP network-based architecture uses lua scripts and JSON object exchange to hook into the DCS World engine without using DirectX keys. This low-level integration with the sim core leads to a fully synchronized and zero-latency experience. The use of the UDP network protocol means that e.g. 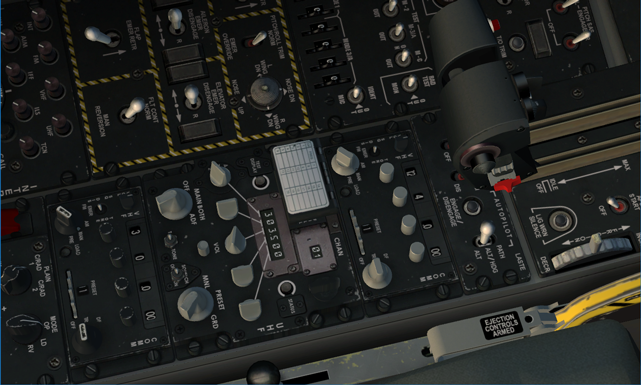 simpit builders can even run VoiceAttack with VAICOM PRO on a different host than DCS World itself.​ The cross-module Extended Command Set provides access to new possibilities outside the reach of the regular comms menus. Ever wanted to do a JTAC mission in an F-15C? Now you can! ​Setup is easy. VAICOM PRO does not depend on external modifications and the system works with all current DCS World releases including openbeta versions. Allocate 10 minutes to set up your (HOTAS) push-to-talk buttons and you're good to go. Because the plugin runs in VoiceAttack you can extend your profile with as many of your own additional commands as you like. Even adding complete existing VA profiles is straightforward using profile daisy-chaining. Get started now by downloading the free plugin files from the download page. Get your PRO license from the get license page and check out the FAQ and s​upport pages to get more info including the complete User Manual PDF. "An Excellent Product And A Great Enhancement To DCS"